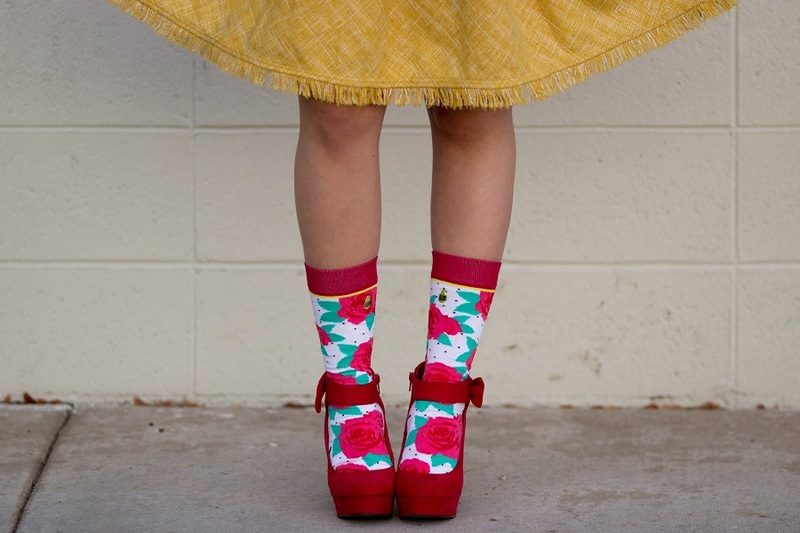 How a-FLORAL-ble are these True Love socks from Woven Pear? I seriously can't get enough of them. 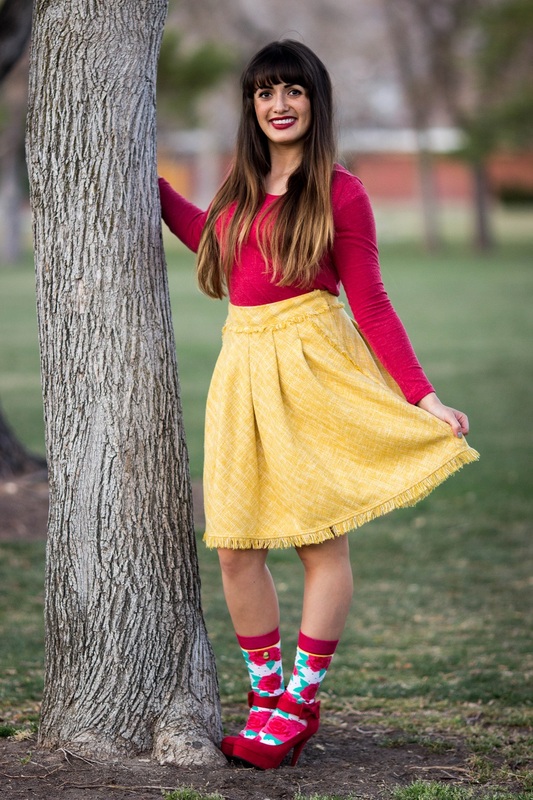 If you follow along on instagram you can probably tell that I'm a little obsessed with Woven Pear and their funky fresh socks (; I styled my True Love socks with an a-line skirt, long sleeve t-shirt, and bright red heels. I think the socks really added a quirky-cute touch to the look, don't you think? I love that you paired those socks with the shoes! LOL Afloralble! I love those socks and the whole springy outfit!